Wow. Hard to believe that it was a year ago today that I was sitting in the doctor’s office being told that I have cancer. There hasn’t been a day in that year that I haven’t thought about cancer and the effects of its treatment. But I don’t necessarily dwell on it or worry that it will come back. I think about the practical aspects of living after the prostatectomy; about educating others and increasing awareness; and about what’s next in my life now that I’ve been given a second chance at it. So let’s break this posting into manageable chunks. Nope. I can’t say that I do. 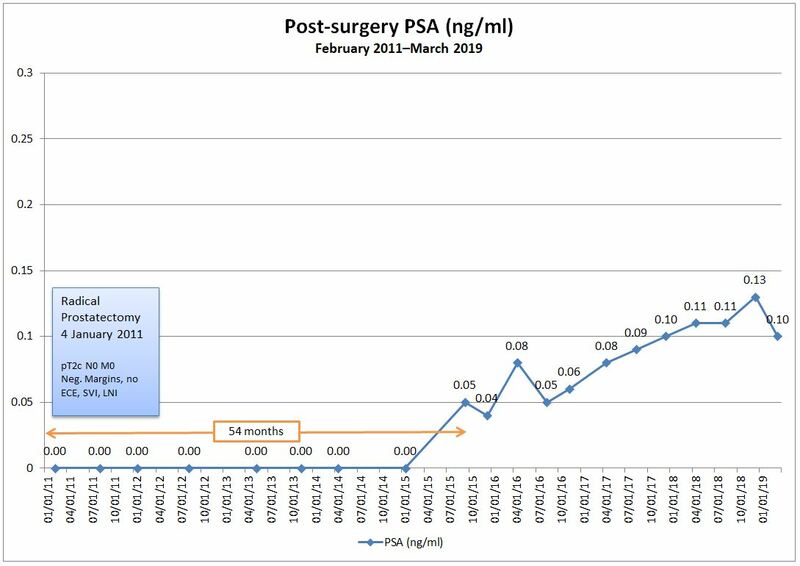 Getting through the six month PSA test was a bit unnerving, but the results were great. I’m sure that I’ll get worked up before each future PSA test, but I think that the whole reason for having the radical prostatectomy was to get all those little bugger cancer cells out of my body, and that approach seems to have worked. Sure, the surgeon told me that I may have a one in five chance of having the cancer come back in 10 years, but that little tidbit of information stays pretty well sequestered in the back of my brain. It doesn’t rule my thoughts. It doesn’t run my daily activities (but maybe it should–more on that later). Getting all of those little bugger cancer cells out of my body wasn’t without costs. If you’ve been keeping up with this blog, you know that I’m not 100% “dry” when it comes to the incontinence or that my sexual function has not yet returned. The incontinence is limited to sneezing, coughing, or performing some sort of physical activity (squatting or lift something heavy at an odd angle–something my herniated lumbar discs don’t appreciate, either!). It’s a nuisance more than anything, but it can be a frustrating nuisance. It’s that frustration that has been gnawing away at me; my patience just isn’t what it should be, I guess. Yes, the doctor told me it could take a year or better for things to get back to normal, and it’s been 10 months since the surgery. My overachieving self wants perfection. NOW! Is it so bad that I would recommend not having a radical prostatectomy to someone? No. But it is something that I would share in detail with someone who’s considering his treatment options. Obviously, it wasn’t long after the surgery that this blog turned from a means of keeping family and friends informed into something intended to educate others diagnosed with prostate cancer. It was really helpful for me to have a couple of first-hand accounts of going through this journey, and I knew that I wanted to return the favor by sharing my experience here. If it helped just one person understand what they might encounter, then I consider this blog to be a success. There’s no shame in having cancer and, as you can tell, I have been very open about discussing my experience. (Too open, according to some.) But too many people are afraid to even utter the word “cancer,” let alone have an in-depth discussion of the disease, its effects, and its treatments. Shying away from it does no one any good–the patient, his family, and his friends. Quite the contrary, for me, talking about it openly was helpful and therapeutic. October was Breast Cancer Awareness Month and–without disparaging anyone with the disease or who has worked on a cure–it really irked me that you couldn’t turn a corner without seeing something pink to increases awareness, while in September, I didn’t see a single blue ribbon promoting Prostate Cancer Awareness Month. So I’ve kind of made it my personal mission to try to increase awareness in my little sphere of influence. No, I don’t walk up to a guy and ask, “When’s the last time you had your prostate poked?” But I do let guys know that I was one who followed the rule, “If it ain’t broke, don’t fix it,” and had not been for a physical in a couple of years. I encourage them to get checked and also let them know that I’m available to talk with if they want. Heck if I know. Really. And that’s the one thing that’s caught me off guard. Trying to figure out what to do with this second chance at life has been an onerous task. Of course, the analytical German Capricorn in me is what’s making it so onerous. Paralysis by analysis. A year has gone by and I’m still in the same place, doing the same job, and doing it alone. But there’s that little tidbit of information in the back of my brain telling me that there’s a one in five chance of having the cancer come back in 10 years. Maybe I should move that tidbit to the front of my brain as a catalyst for action in both my daily life and for the long haul. Dump the spreadsheet and just do something! 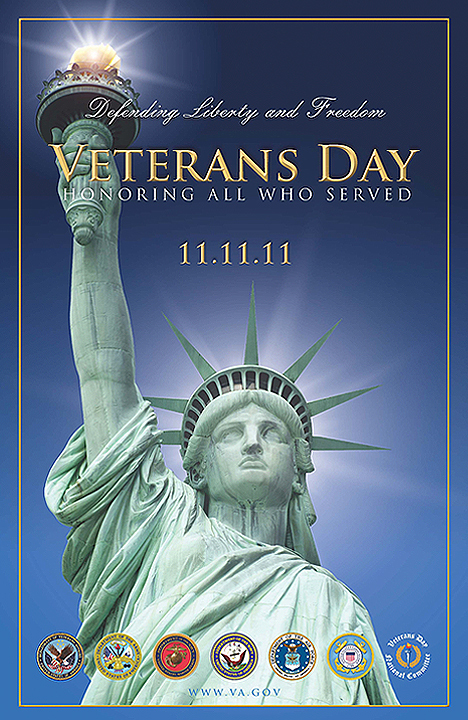 And speaking of the 11th, today is Veteran’s Day–hug a Vet if you see one. golden guys should be home early. Guess who is coming for Xmas?